Taking action is one of the five essential elements of the Primary Years Program. 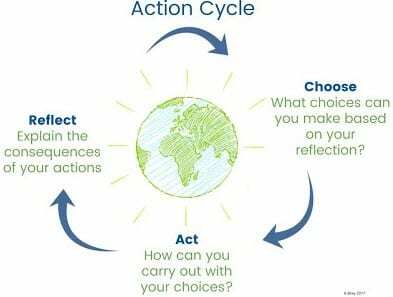 When students take action, they reflect and make connections to the knowledge and experiences they have acquired and apply them to everyday life. Students at Spicewood Elementary are empowered and encouraged to be active learners, taking action to make our school, community and world a better place. This week, we’re sharing the action students are taking in just one classroom (although there is so much to see all around the building!) to give you a closer look at how the PYP program helps to shape the whole child. In first grade, students are learning about relationships in their Who We Are unit of Inquiry. In this unit, students learn more about themselves as active students in all subject areas (math, writing, reading, and science), take a closer look at relationships and traits of characters in stories, and how numbers are related in math (ex: ways to solve word problems or even and numbers). This week we’ve asked, Ms. Lough, one of our first grade teachers, to share the ways she’s seen action in her classroom. Way to go first graders! We can’t wait to see your posters around the school reminding and reinforcing our school vision, Spicewood aspires to be a community of caring innovative globally-minded citizens who take action. Today, September 21st, is International Day of Peace, a day recognized around the world to promote and focus on a global mindset of peace. Our campus has been focused on this goal all week, as well as today. We invite you to take action as well and talk to your child about this day. We’ll be sharing how our students are taking action this week on our social media pages. Be sure to check those out!